An American flag waves at half staff in the town of Hawthorne near the Hawthorne Army Depot on Tuesday, March 19, 2013, where seven Marines were killed. SEVEN US MARINES were killed and eight others wounded when a mortar round exploded while still in its launch tube during a training exercise in Nevada, the US military has said. The accident involved a powerful 60 millimetre round and the Marine Corps ordered a ban on the use of such mortars after the incident, pending the outcome of an investigation. “A blanket suspension of 60 millimetre mortars and associated tubes is now in effect until review is complete,” said Marine Corps spokeswoman Captain Kendra Motz. The number of troops reported wounded in the blast rose to eight late last night, including two “very seriously” injured, according to a Marine Corps statement. “The Marines were conducting live fire and manoeuvre training at the Hawthorne army depot,” said Brigadier General Jim Lukeman, head of the 2nd Marine Division, which was taking part in the drill. A 60 millimetre round went off while in a mortar tube and “we don’t know yet what caused this malfunction,” the general told reporters at Camp Lejeune, North Carolina, where the 2nd division is based. The vast depot in the western Nevada desert spans nearly 600 kilometres and includes more than 2,000 bunkers. Its desolate terrain and high altitude is used to train troops preparing to deploy to Afghanistan. Major General Raymond Fox, the commander of the II Marine Expeditionary Force, expressed sorrow over the casualties. “We mourn their loss, and it is with heavy hearts we remember their courage and sacrifice,” he said in a statement. US President Barack Obama and Defence Secretary Chuck Hagel were briefed on the accident and expressed their condolences, officials said. 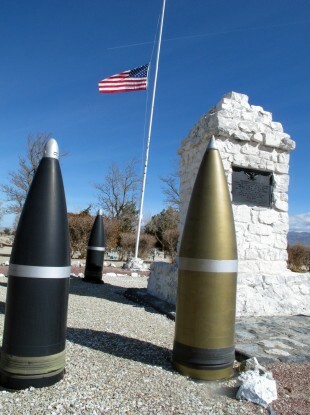 The site of the Nevada depot, about 225 kilometres southeast of Reno, was chosen for its remote location after a fatal accidental explosion at another depot in New Jersey in 1926. Hawthorne served as the main staging area for ammunition during World War II and once employed about 5,600 people. The depot is now run by a contractor and is used to renovate ammunition, destroy outmoded ordnance and prepare troops for desert combat and other training. The accident came a year after seven Marines were killed in a collision of helicopters near the border of California and Arizona, which involved an AH-1W Super Cobra chopper and a UH-14 Huey. The Pentagon has tried to reduce the number of training accidents and says it has made some progress over the past decade. Aviation crashes have declined by about 45 percent since 2002. Email “Seven marines die in training exercise after mortar explodes without warning”. Feedback on “Seven marines die in training exercise after mortar explodes without warning”.